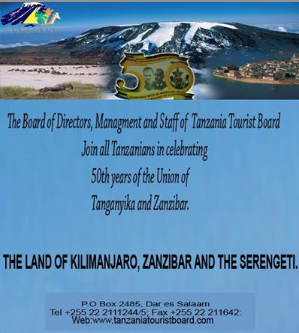 It was learned that the Tanzania Tourist Board (TTB) will be represented in the United States by TII, short for Tourism Intelligence International, while in the United Kingdom it is African Oracle looking after the organization's interest. TTB used their presence at this year's ITB tourism trade show in Berlin to sign three five-year deals with marketing representative companies in key source markets. Germany's 707 Marketing GmbH is the third of the selected companies which will now begin to help market Tanzania's and Zanzibar's tourism attractions, provide market intelligence, and liaise with tour and travel companies as well as the travel media. Detailed marketing plans will have to be submitted to TTB by mid-2017. TTB's CEO, Mdachi Devota, signed the contracts with senior executives of the marketing companies on the last day of ITB 2017. Africa has had its fair share of great leaders, like Nelson Mandela and Kwame Nkrumah. However, political power in Africa is often seen as an easy path to become wealthy. Too often, cronyism and patronage oil the wheels of governments, ensuring that corruption goes unpunished and impunity reigns. Enter Tanzania’s President John Magufuli, who is defying all the purportedly accepted norms of African leadership. Magufuli wasted no time. His firm stance on fighting corruption, his introduction of severe austerity measures, and his seemingly aggressive development agenda, have earned him accolades. The United Nations Economic and Social Council recently named him the World’s Best President. With just one year in office, Magufuli has amalgamated several ministries, downsizing his cabinet from 30 members to 19. He has banned the purchase of first class air tickets for ministers, and government meetings and conferences are now held in state buildings rather than high-end hotels. To the dismay of senior officials, he auctioned off their luxury cars, seen as both a right and a necessity, with the generated income being channeled into public services. He has also banned any future purchase of such vehicles. “The president’s approach so far has been commendable and his battle with corruption impeccable. I think he will sustain his current style and won’t be putting his guns down anytime soon,” says Nicodemus Minde, a Tanzanian political analyst. By channeling resources back into Tanzania’s economy, Magufuli’s austerity measures have been lauded and the impact is already being felt. His somewhat autocratic style is facilitated by the powers allocated to the Tanzanian Presidency. These allow him to appoint and dismiss officials, and to leverage state security apparatus to flush out and punish corruption and economic crime. He has pledged to double development spending, funded by cutting government wastage, which may enable economic gains to trickle down. Although a chemical engineer by profession, Magufuli is not new to politics. He has been an active member of parliament for two decades, heading various ministries throughout his tenure. His radical, yet effective, methods of governance set an example for transparency, good governance and strict control of government spending. Tanzanians have grown to love his style, while citizens of neighboring nations look on enviously, hoping their leaders will take a leaf from his pragmatic book. Ali Mufuruki, Chairman and CEO at InfoTech Investment Group, describes Magufuli’s style as steadfast. While Magufuli’s first year in office has been impressive, it remains to be seen whether this will translate into more economic growth, given that Tanzania was already growing by 7.9% in the second quarter of 2016. His success so far has been met with skepticism in some quarters, with some pundits warning that celebrations may be premature. DAR ES SALAAM, Tanzania, Jan. 20, 2016 (GLOBE NEWSWIRE) -- Honorable Professor Jumanne Maghembe was appointed the new Minister of Natural Resources and Tourism of the United Republic of Tanzania by the newly elected Tanzania President, H.E. Dr. John Magufuli. Having previously served as Minister of Natural Resources and Tourism from October 2006-February 2008, Hon. Prof. Maghembe brings to this position a keen knowledge and understanding of the tourism industry. He fully recognizes the critical importance of the Industry to Tanzania's economy as both a foreign exchange earner and a job creator. As new Minister of Natural Resources and Tourism, Hon. Prof. Maghembe announced that the government will be increasing the budget for tourism in an effort to attract even more tourists to Tanzania, looking to double this sector's GDP contribution from $2 billion to $4 billion over the next two years. "Increasing the tourism budget will enable the Tanzania Tourist Board to adopt more innovative strategies in order to compete more effectively in the marketplace, leading to an increase in Tanzania's market share of tourists," said Hon Prof. Maghembe. "Currently, Tanzania only attracts about 1.1 million tourists annually, but with new initiatives, we are aiming to grow the number of visitors worldwide to 3 million in the next two years," added Hon. Prof. Maghembe. Hon. Prof. Maghembe noted that Tanzania views the U.S as one of its most important tourism generating markets and looks forward to launching new marketing platforms that will lure even more American visitors to Tanzania. Tourism sector in Tanzania is continuing to perform well at international arena after the country’s responsible organ for marketing Tanzania as a tourist destination Tanzania Tourist Board (TTB), being named one of three finalists in Destination:- Best Tourist Board Africa category for the 2015 Travvy Awards that recognizes the highest standards of excellence in the Industry today and honors travel companies, travel products, travel agencies, travel executives, travel agents and travel destinations. Other two finalist countries under the category are South Africa Tourism and Namibia Tourism Board. Selection of the finalists is based on votes by travel agents. The final two winners in the respective categories are determined by the award-winning Travel Alliance editorial team. The Annual Travvy Awards will be presented by TravAlliancemedia at a Gala Awards night, New York City, January 6, 2016. 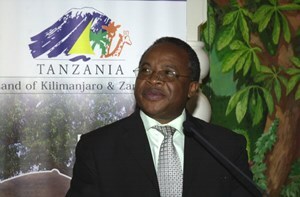 “Tanzania is honored to be among the finalists for Africa. This is the result of the dedicated and pro-active work in the US market by Tanzania Tourist Board (TTB), together with The Bradford Group, TTB’s USA representative, and the strong support of Tanzania National Parks and Ngorongoro Conservation Area Authority as well as the Tanzania Embassy in Washington and the Tanzania Mission to the UN in New York.“ commented, the Permanent Secretary of the Ministry of Natural Resources and Tourism Dr. Adelhelm Meru. He further said that In addition to Tanzania having some of the world’s most renown tourism icons, the Serengeti and the Great Animal Migration, Mt. Kilimanjaro, the Ngorongoro Crater as well as the hidden gems of the South, the Selous Game Reserve and Ruaha National Park, visitors from all over the world are also attracted to Tanzania because of its peace and tranquility, stability and prevailing democracy in the country that makes Tanzania a suitable place to stay for visitors. This new development comes after recent developments where Tanzania mainland and Zanzibar were named by the US Travel and Leisure Magazine among the annual Best Places to Travel in 2016. Tanzania was also named among 52 places to go this year by the ‘New York Times’, the best African Destination to visit by the Fox News Channel, the best safari Country of Africa by SafariBookings.com and Tanzania’s Mt Kilimanjaro and Serengeti National Park being named two of the greatest parks in the World by National Geographic Magazine to mention just a few. Destination Tanzania has also received continuous positive coverage in the major travel publications and broadcast media. (Dar es Salaam, Tanzania, January 14, 2013) – The Tanzania Tourist Board is proud to announce that Tanzania is going to be home to at least one of the 7 Natural Wonders of Africa. 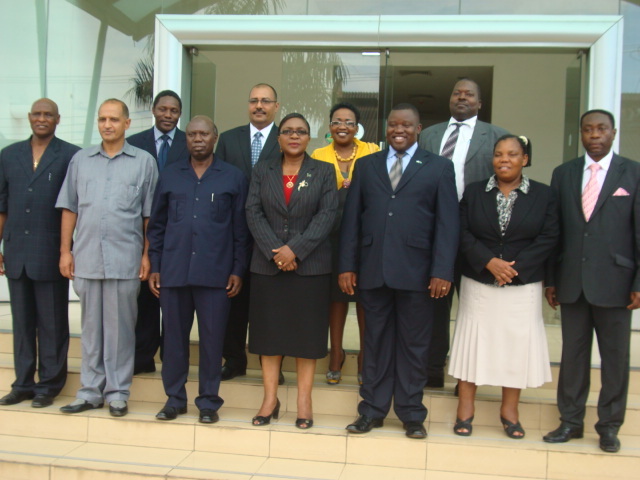 The voting for Africa concluded on 31st December 2012 and Tanzania is among the winners. Seven Natural Wonders, based in the United States, has been conducting a campaign since 2008 to determine the 7 Natural Wonders of Africa. International Union for Conservation of Nature (IUCN) and other experts from around the world cast their votes based on statistical and traditional significance along with uniqueness and splendor. The final votes had been casted by the close of 2012. Seven Natural Wonders contacted Dr. Aloyce Nzuki, the Managing Director of the Tanzania Tourist Board, to notify him of the initial results and confirmed to him that Tanzania was among the winners and should expect to have more than one wonder of nature included. Dr. Nzuki welcomed the opportunity to host the Declaration Announcement and celebrate the wonders of nature of Tanzania and Africa at large. The Declaration Announcement will be held on 11th February 2013 at the Mt. Meru Hotel in Arusha, Tanzania. Dignitaries from various countries in Africa, and international and local Media will be invited to attend the announcement ceremony and discover which wonders from Africa, in general and Tanzania in particular, are included. The Tanzania Tourist Board wishes to take this opportunity to express its gratitude to all individuals, within and out of Tanzania, who participated in the voting for Tanzania’s candidates for 7 Natural Wonders of Africa. Did you know that Ruaha National Park was recently expanded to become the largest National Park in Tanzania, and the 2nd largest wildlife protection area in all of Africa. Ruaha National Park is easily accessible as it rests in the middle of the country. Inside the park roads follow the tributaries providing excellent game viewing. All of Africa's big five are found here, as well as hundreds of bird species. Ruaha National Park is also the largest elephant sanctuary in Tanzania. For more information about Ruaha National Park visit our blog at www.ruahaparkblog.com. For more information about TANAPA, Find us on Facebook at https://www.facebook.com/tanapaparsk | Follow us on Twitter “@tanzaniaparks1” | or visit our website at www.tanzaniaparks.com. WILDLIFE in Katavi can be described as nothing short of awesome, especially the huge herds of buffalo and countless snorting hippo. At Mahale Mountain National Park, trek through the rainforest to encounter the world’s largest known population of chimpanzees and eight other primate species. Observe man’s closest relatives as they groom, wrestle and forage across the leafy floor; then return to your idyllic lodge to snorkel, fish and explore the crystal waters of Lake Tanganyika. (April 23, Dar es Salaam, Tanzania) – The President of the United Republic of Tanzania, Dr. Jakaya Mrisho Kikwete announced the appointment of Ambassador Charles A. Sanga as the new Chairman of the Board of Directors of the Tanzania Tourist Board (TTB). The Minister of Natural Resources and Tourism, Hon. Ezekiel Maige (MP) subsequently appointed new members of the Board of Directors to serve alongside the new Chairman: Professor Isaya Jairo from the Institute of Finance Management and renowned Financial Management specialist; Teddy Mapunda, a seasoned Marketer; Hon. Abdulkarim Shah, Member of Parliament for Mafia Island; Hon. Kaika Ole Telele, Member of Parliament for the Ngorongoro Constituency; as well as Mr. Samuel Diah, a private sector official representative to the Board and a tour operator. Hon. Maige continued, “"In the new strategy of promoting ourselves, I would like to advise that the issue of branding the country be well supervised and completed this year." Hon. Maige asked the new Board of Directors of TTB to develop a strategy to diversify the tourism product and develop areas that have been off the beaten track, including cultural and historical sites as well as the Indian Ocean coast. Likewise, the Minister emphasized the need to boost the tourism marketing budget in order to reach more market sources and attract more tourists from leading markets. Tanzania, the largest country in East Africa, is focused on wildlife conservation and sustainable tourism, with approximately 28% of the land protected by the Government, the largest percentage of any country in the world. It boasts 15 National Parks and 31 game reserves, 50 Game Controlled Areas, one special Conservation Area (the Ngorongoro) and three Marine Parks. It is home to the tallest mountain in Africa, the legendary Mt. Kilimanjaro; The Serengeti, home to the "Great Animal Migration" that was named the New 7th Wonder of the World by USA Today and ABC TV's Good Morning America; the world acclaimed Ngorongoro Crater, often referred to as the "Eden of Africa" and the “8th Wonder of the World”; Olduvai Gorge, the cradle of mankind: the Selous, the world’s largest game reserve; Ruaha, now the second largest National Park in Africa; the spice islands of Zanzibar; and seven UNESCO World Heritage Sites. Most important for visitors, the Tanzanian people, with a rich history and diverse blend of cultures, are warm and friendly. On December 9, 2011, Tanzania, an oasis of peace and stability with a democratically elected and stable government, celebrated its 50th Anniversary of Independence. visited the pavilion at Sabasaba ground. A Canadian tourist has called upon Tanzanians to climb Mount Kilimanjaro to be able to test, enjoy and appreciate the beauty of Africa’s highest peak bestowed to them by God, the Al Mighty. The tourist, Raymond Walker (79), made the call to that end recently after climbing the mountain to its top most Uhuru summit, to become the first elderly to set a foot on the mountain’s highest peak. Walker said that he felt proud to become the first climber of his age to reach one of the reckoned international treasures. He added, “I wanted to see how it looks like on the top”. He thanked local tour operators for supporting him and encouraging him from the start to the end of the long climb. “I feel so proud to reach the top of Mount Kilimanjaro at this age …I advise Tanzanians to climb the mountain while still young,” he said. A local tour coordinator, whose firm facilitated Walker to climb the mountain, Faheem Aloo, said his company, Tusker Trail, provided guides for accompanying tourists by providing them with all essential needs, including medication services. According to him, Walker is the first person to reach the top of the mountain at such an old age. Authorities in Tanzania said this week efforts were afoot to re-brand the East African nation as Africa's leading tourist and business destination. Lazaro Nyalandu, the minister for natural resources and tourism, said President Jakaya Kikwete will next month launch television advertisements aimed at promoting the country's tourist attractions as part of the re-branding. Nyalandu said Pursuit Production, a US based firm, has already been tasked with filming tourist attractions and producing advertisements which CNN and the BBC World Service will air worldwide. Dubbed 'Re-branding Destination Tanzania,' the filming and production of the television advertisements will cost US$1,5 million, said Nyalandu. "I am optimistic that the advertisements will boost tourist arrivals," the minister said, adding that the tourism industry has of late been greatly affected by outbreak of the Ebola virus negatively covered by international media with many implying the scourge was all over Africa. "The firm has finished filming tourist attractions in Zanzibar, and is now filming Serengeti before proceeding to Kilimanjaro Mountain and Ngorongoro Crater, among others," Nyalandu said. He said the government and development partners were footing the cost of the re-branding estimated to attract at least 2,5 million tourists annually in the next five years as opposed to only 1.3 million tourists visiting the country annually at the moment. Tourism directly employs nearly half a million Tanzanians and it represents approximately 3,4% of Tanzania's total GDP but the level could reach an estimated 10% considering its indirect impact on other areas such as agriculture and transportation. Over the past 20 years, Tanzania has emerged to be one of Africa’s most dynamic and popular travel destinations. Its lands encompass a staggering natural variety complemented by the warm hospitality of the people. Tanzania has become well known for its political stability within the region, and this has signifi cantly helped to promote the ever growing tourism industry. Tanzania continues to record impressive growth in tourism, in terms of number of visitors, tourism investments and contribution to the national GDP. In addition to the famous wildlife safaris, mountain climbing, beach and sea sports, emphasis is also being placed on developing and promoting other unique and niche products – such as cultural, sustainable, and eco-tourism. Undoubtedly, these initiatives will see benefi ts for the present and future generations, as well as effectively providing high-class tourism products and services. On behalf of the Tourism Confederation of Tanzania, we welcome everyone to enjoy the country’s rich and plentiful natural attractions. Stretching from the Indian Ocean coastline studded with picture perfect beaches, to the amazing wonder of millions of wildebeest migrating across the plains of the Serengeti – Tanzania has something for everyone. Zanzibar, also known as “the spice islands” has long conjured up a romantic image that has been a lure for American travelers. Located along the Indian Ocean, off the coast of mainland Tanzania, Zanzibar was named one of “41 Places to Go in 2011” by the New York Times in its Sunday Travel Section, January 9, 2011 with a circulation of more than 1 million. Zanzibar, which is an autonomous state within The United Republic of Tanzania, consists of Unguja (also known as Zanzibar Island), Pemba and some 50 smaller surrounding islands and islets. 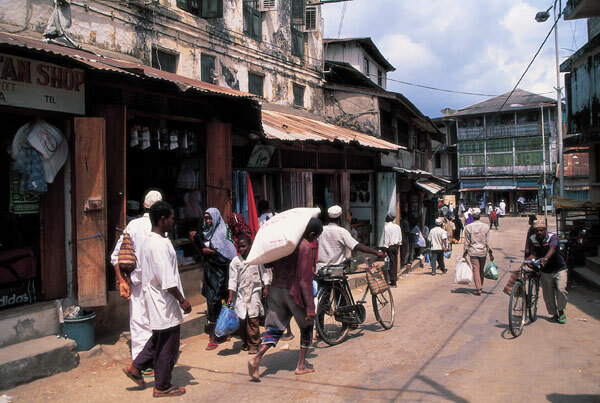 Stone Town, the historic port city of Zanzibar Island, is a World Heritage Site and a major cultural attraction. Already popular for its beaches, water sports, scuba diving (using environmentally-friendly equipment), underwater photography, reef watching, dolphin watching and snorkeling, Zanzibar is now focusing on promoting its many year-round- festivals showcasing the diverse cultures and history of Tanzania’s Kiswahili coastal islands. Zanzibar is the birthplace of Swahili (an Arabic word for “of the coast”); a lingua franca forged from global dialects, upon which legends were carried, trade routes opened and a Sultan’s empire prospered. The colorful mosaic of cultures and traditions found in Zanzibar is the result of its history as a crossroads of civilizations, absorbing peoples from as far as The Orient and Iberia, Assyria and India. Zanzibar, like Bagamoyo and Kilwa on the mainland, has many historical sites that are part of the Slave Route and have become an integral part of the Africa Diaspora Heritage Trail. The most well known festival is the Zanzibar International Film Festival, also known as The ZIFF Festival of the Dhow Countries. East Africa’s largest cultural event, the film festival takes place in Zanzibar around the magnificent, historical venues along the waterfront of Stone Town. Many screenings take place outdoors in an historic amphitheater. The festival celebrates the unique cultural heritage of Africa and the Dhow countries of the Indian Ocean region and their global Diaspora. 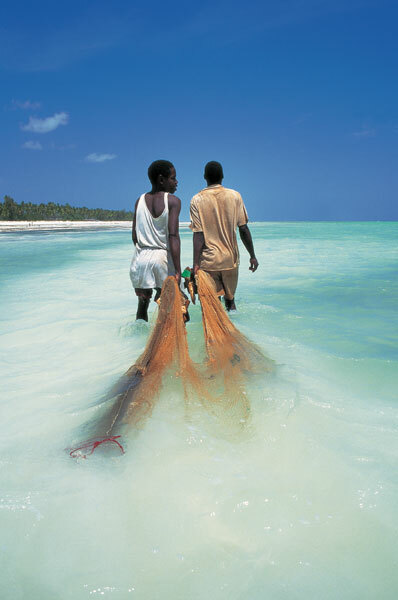 The 2011 Zanzibar International Festival will take place July 2-10th, 2011. The Sauti za Busara music festival, now in its eighth year will take place in Zanzibar on February 9 -13th, 2011. Sauti za Busara is Swahili for "Sounds of Wisdom". The festival includes 40 musical groups, hailing from Zanzibar, Tanzania, Kenya, Uganda, Rwanda, Burundi, Mozambique, Mauritius, Zimbabwe, West Africa and Europe. For more information, visit www.busaramusic.org. Tanzania, the largest country in East Africa, is focused on wildlife conservation and sustainable tourism, with approximately 28 % of the land protected by the Government. 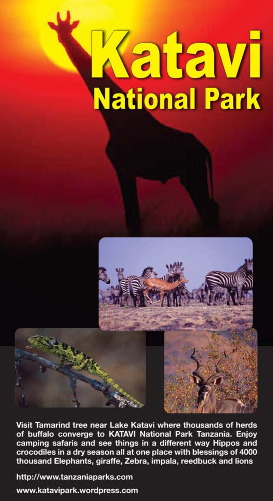 It boasts 15 National Parks and 31 game reserves. 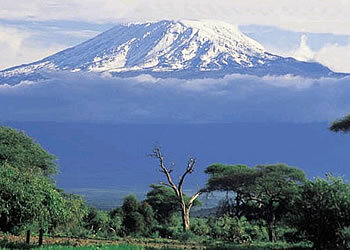 It is the home of the tallest mountain in Africa, the legendary Mt. Kilimanjaro; The Serengeti, named in October, 2006, the New 7th Wonder of the World by USA Today and Good Morning America; the world acclaimed Ngorongoro Crater, often called the 8th Wonder of the World; Olduvai Gorge, the cradle of mankind: the Selous, the world’s largest game reserve; Ruaha, now the second largest National Park in Africa; the spice islands of Zanzibar; and seven UNESCO World Heritage Sites. Most important for visitors, the Tanzanian people are warm and friendly, speak English, which together with Kiswahili, are the two official languages; and the country is an oasis of peace and stability with a democratically elected and stable government.